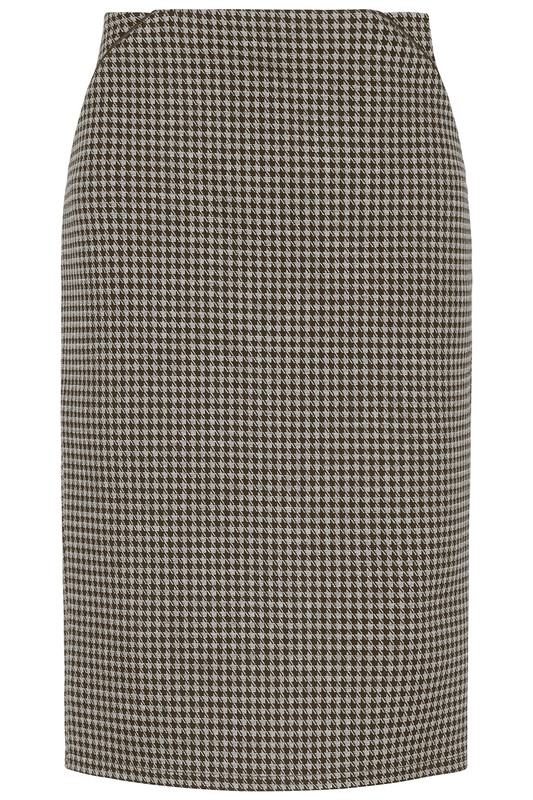 Look smart and sophisticated with this ponte pencil skirt in a large dogstooth texture. The simple, knee-length skirt is work-appropriate and easy to pair, with its monochrome design. It is flatteringly close fitting, with its elasticated waistband making it a dream to pull on. The soft touch, slightly stretchy material will help you feel comfortable and cosy.